During the Swedish Tourism Gala 2013, the theme was Green innovation and offered the following inspiration: Swedish tourism innovation on world tour and listen to the latest trends from NASA and UNWTO! How could the successful ski resort of Telluride astound the world with its sustainable destination development, and how could the industrial area of the Ruhr area transform into a living cultural landscape with new tourism products? Listen to world-renowned profiles during the "Global Tourism Innovation Summit" and national speakers with exciting projects during the "National Tourism Innovation Summit". Welcome to an inspirational all-day conference about innovative entrepreneurship, sustainable future and innovative solutions. 9:00 pm TRIP Award (up comers, comeback, best marketing/distribution). 10:00 pm Mingle & Entertainment. • 10:00-11:00am. A living culture heritage for a strong tourism industry. Opportunities and challenges in the interaction between cultural heritage and tourism. Culture is an essential component when attracting visitors to Sweden. With collaboration between the tourism and culture industries, new innovative partnerships can develop and create new tourism experiences. • Interaction between tourism and culture industries and their development areas has potential to create more destinations and experiences and thus increase growth. Intersectoral cooperation, as between the cultural and tourism industries is a priority in cultural policy, with Joakim Stymne, State-Secretery, Ministry of Culture. • Kalmar Castle: Kalmar's most unfashionable site has become the city's main attraction and an important source of revenue. Listen to how collaboration towards common goals and financial investment brings to life the legendary history of the castle, with Mimmi Manheimer, Head of Calmar Castle and Harald Pleijel, Property Director, the Swedish National Property Board. • Restaurant Hjerta on Skeppsholmen: A former shipyard building constitutes the core and has been acclaimed by the restaurant guide ‘White-Pearl’. The owner Malin Söderström describes how much the surroundings and the environment affect customer experience, operations and the success of the business. • The fortress of Fredriksborg: A blank stone barrack has been converted into the new pride of the city Värmdö. Meet entrepreneur Eva Persson, who receives standing ovations for her new hotel concept. • Panel discussion: What tools are required to highlight the importance of cultural heritage and the cultural industries for tourism development? Discussion on stage with Joakim Stymne, State Secretary, Ministry of Culture, Marja-Leena Pilvesmaa, Herritage Manager, National Property Board Sweden, Robert Cullen, Senior Advisor, Swedish Welcome and Ulrika Hallesius, Director of Corporate Communications & Public Affairs, VisitSweden. am. The sustainable journeys that make Sweden accessible. Accessibility is a fundamental prerequisite for tourism development. How innovative and sustainable is the Swedish model in terms of availability and accessibility, and how can it be further developed? Everyone should be able to reach every destination- in a sustainable, convenient and safe manner!, with Einar Tufvesson, strategist, Swedish Transport Administration. How close are we to achieve this goal? What are the conditions for increased accessibility in Sweden? What can collaboration for increased accessibility to destinations and rural areas mean? With Therese Sjölundh, CEO from Åre Destination and Christer Karlsson, Planner, the Swedish Transport Administration. What can the future of digital, innovative tourism experiences look like? With Thomas Rydell, C-studio and Interactive Institute. British Museum in London vs. Avesta: Techniques of visualization and artistic interpretation provide exciting environments for visitors, Halina Gottlieb, Interactive Institute Swedish ICT and Allegra Burnette, MoMA. Development and opportunities in comparison with other countries linked to innovation, sustainability, accessibility and digitization opportunities. What can broaden horizons and clear synergies between different actors mean for the future of sustainable tourism experiences? With Halina Gottlieb, director and founder NODEM, Interactive Institute Swedish ICT, Alexander van Riesen, founder Stockholm Sounds and owner of Pergate and Anneli Sundström, Communications Director, Swedish Travel and Tourism Industry Federation (RTS). 12.00 pm Award Ceremony: The Swedish Tourism Innovation Award of 2013, with members of the jury Maria Dahl-Torgerson, Vinnova and Paula Lembke, PRV and last year's winner Spaceport Sweden. 1.45- 2.00 pm Down to Earth for Tourism: Sweden takes tourism innovation to a global level! – The astronaut lifestyle as a catalyst for innovative solutions for sustainable tourism development! 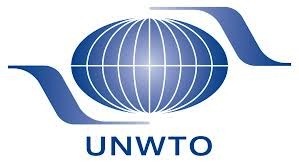 UNWTO, Umbilical Design and the Swedish Travel and Tourism Industry Federation explains the joint cutting-edge project with coming up pilots and the development of a global tourism innovation network. “Sweden is among the top contenders for its innovation, space technologies and sustainable tourism. It’s very exciting to see our joint project and partnership on innovation reach the global market. We will present some interesting results on the progress within this coming year. This is a possibility for knowledge sharing and an opportunity for countries to benefit from each other’s development”, said Taleb Rifai, Secretary-General of the World Tourism Organization (UNWTO). with Cordula Wohlmuther, Project Tourism and Peace, Cecilia Hertz, Umbilical Design and Jan Lundin from the Swedish Travel and Tourism Industry Federation (RTS). 2.05-2.30 pm Latest news from NASA: About technology and knowledge transfers from space to earth and the tourism industry, for example green buildings and sustainable cities, with Dr Michael Flynn, NASA. 3.05- 3.25 pm The Ruhr area in Germany: About the transformation from dirty mines, heavy industry and alarming environment to a living cultural landscape in the Ruhr area, with Axel Biermann, CEO Ruhr Tourismus. 3.45-4.00 pm Challenges and possibilities: The latest trends and developments within global tourism- the worlds fastest growing industry. With representative from United Nations World Tourism Organization (UNWTO). 4.00- 4.30 pm Panel discussion:Innovation in the global tourism industry, challenges & opportunities. Reflections regarding cooperation in sustainable and innovative development by facilitating benchmarking and knowledge opportunities in the tourism sector. With the members of the global tourism innovation network: Annie Lööf, minister for enterprise and regional affairs Ministry of Enterprise, Cordula Wohlmuther, Project Coordinator, Project Tourism and Peace, Dr Michael Flynn, Scientist of Bioenginering bransh at NASA, Christer Fuglesang, Head Science and Applications Division, European Space Agency and Jan Lundin, Managing Director, Swedish Travel and Tourism Industry Federation. 4:30 pm Award Ceremony - TRIP Global Award to “The best Experience in Sweden", presented by Annie Lööf, minister for enterprise and regional affairs, Ministry of Enterprise. 8:00pm Doors open at Ambassadeur. Welcome drink and mingle. 8:15pm "Bring the Hat" starts to play. 9:00pm TRIP Award Ceremony for "Comeback of the year", "Upcomer of the year" and "Best Marketing & Distribution of the year". 9:15pm Live performance with Sandra Nordström. The evening will also offer rafflez with attractive prizes such as flight tickets, hotel stays and much more. Prizes are sponsored by Malmo Aviation, STF, Destination Gotland, Dubai and Emirates and more. Do not miss out! When taking part of the Gala Evening, tickets also include access to the day program at China Theatre, Berns.